On behalf of the Erasmus+ Strategic Partnership project Entrepreneurship Education Ecosystems in Engineering and Technology (E4T), Karlsruhe Institue of Technology invites you to the mid-term open event in Karlsruhe on October 24-25. The aim of the event is to invite experts in the field of entrepreneurship education. There will be plenty of opportunities for networking with other experts. Furthermore, the participation in the event is free of charge and registered participants will be offered one complimentary night at the Hotel Achat Plaza, dinner on October 24 and lunch on October 25. Participant are however expected to cover their travel costs with own funds. Please register as soon as possible (first come first serve). 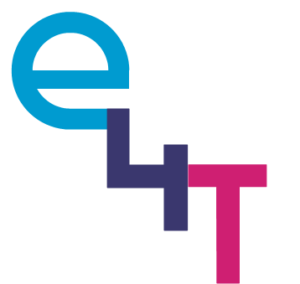 The Entrepreneurship Education Ecosystems in Engineering and Technology (E4T) is an Erasmus+ Strategic Partnership including KTH Royal Institute of Technology (coordinator), Aalto University (co-coordinator), Trinity College Dublin, TU Darmstadt, Politecnico di Torino, Instituto Superior Técnico Lisboa, and KU Leuven. The project will last 3 years, from 2018 to 2020, and its overall objective is to provide more graduates in engineering with entrepreneurial ambition, culture, and skills. The project also aims to increase the awareness of the importance of entrepreneurial skills and competences for international engineering education within university ecosystems and beyond. If you have any questions or need further information, kindly send an E-Mail to Mirko Varano (varano@kth.se) or Mette Svensson (mettesv@kth.se).